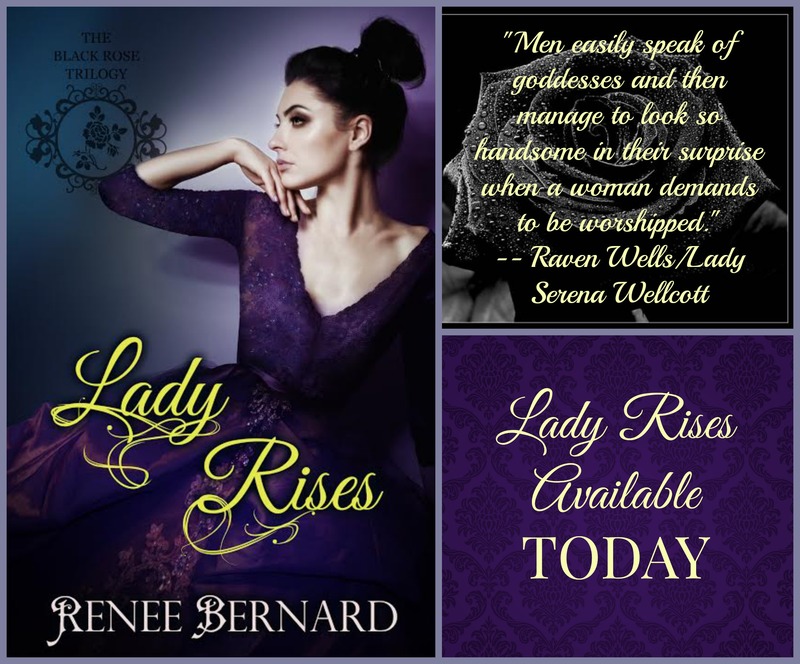 LADY RISES serves up the next relentless installment in the Black Rose Trilogy and leaves no doubt that Hell hath no fury like a woman wronged but when that woman is Raven Wells—the Devil himself would rather keep out of her way. From the ashes of LADY FALLS, Raven Wells is transformed into Lady Serena Wellcott. Now with wealth and power all her own, she is the founder of the Black Rose—a secret society dedicated to securing justice for women who have been abused or wronged in the private corridors of Victorian society. She has dedicated her life to revenge, honing her skills at the bequest of others but biding her time until she has the two men she loathes most in this world in her sights. In a dance of desire, Serena has her own struggles reconciling the man she once loved with the irresistible rake she has vowed to hate. Vengeance is its own mistress and it’s a race to the finish as the Black Rose takes on a quest to carve out justice and find mercy even where it’s been forgotten. Love may rule but Lady Serena Wellcott doesn’t believe in playing fairly and she also doesn’t believe in surrender. From acclaimed USA Today bestselling author, Renee Bernard, comes a new trilogy of gothic power and twisted sensuality. Here’s a slice of historical romance not generally found in the mainstream—so pull up a chair, settle in for a good read and hang on! About the Story: Raven Wells, the 17-year-old who loved Phillip Warrick with all her being giving him all, no longer exists. In her place is Lady Serena Wellcott, a wealthy, seductive woman of 24 years. Five years previous she founded the Black Rose Reading Society. It is not a book club, one that discusses books. A woman automatically becomes a member of this society once she engages Lady Serena’s services to seek justice and revenge to those who have done her wrong. Lady Serena, the Black Rose, sought justice for women wronged and by so doing hoped to lighten her own need for revenge to those who wronged her. Destiny’s hand brings Mrs. Osborne to Lady Serena and thus engages Lady Serena services. Her husband forced himself on women servants in his employ. Her most precious servant and friend had been raped and now was with child. Mrs. Osborne invited Lady Serena to their country house for a small holiday with another agenda in mind. As it happened, Mrs. Osborne’s cousin was none other than Phillip Warrick, the very man who dumped Raven from the coach in the middle of the night seven years earlier. Lady Serena was a hard women, unforgiving and much like Lord Trent, her guardian who used her to destroy Phillip Warrick. Would Phillip get his comeuppance at last? Will she punish him for his wrong, and for not believing in her? When Phillip recognized who Lady Serena was, he could only stare. He had looked for her for months. He was still full of anger for Raven’s duplicity – she working together with Lord Trent to destroy him. He could hardly keep a civil tongue when he spoke with her. A verbal truce was called between the two to calm Mrs. Osborne, who was dear to both, but would it be enough? Could he get over such treachery even though his body and soul cried out for her? My Thoughts: The feelings this series evokes move me. Revenge is a wicked, dark emotion. The reader is unable to stay above the fray, rather, she is pulled into the whirlwind of emotions. I debated with myself whether Lady Serena’s course of action was justified. Does the end justify the means? Is her method of righting the wrong to provide justice, banish the wrong done to arrive to justice? The dark side of Lady Serena is uncovered. At this point in the story, I like her less and less and appreciate Phillip more and more. Don’t get me wrong. Neither of them were babes of innocence. She had grave faults and both had redeeming qualities. I began the second book thinking there was hope for Phillip to change. I wasn’t prepared to see what time and events had done to Lady Serena. Phillip Warrick had made a terrible mistake believing the lies that Lord Trent told him, not the truth that innocent Raven Wells spoke. To me that’s Phillip’s greatest flaw, not believing in Raven. He was manipulated by Lord Trent as Raven Wells was when plucked from the orphanage at a young age for the specific aim to destroy Phillip Warrick years later. 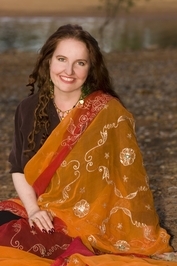 Renee Bernard has done a superb done in pulling the reader into the murky waters of revenge. It is a story that provides food for thought. When is it right to do wrong? Is it ever? Can the ends one wants to achieve, justify the deeds one does to get there? If you want to read a tidy love story, this is not the one. Your senses will be stretched–outrage, hurt, guilt, betrayal, despair, and yes love are all part of this riveting story. 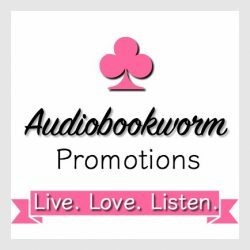 This entry was posted in Book Reviews, Historical Romance, New Book Release Tour, Romance, Women's Fiction and tagged Book Review, Lady Rises, Renee Bernard, The Black Rose Trilogy. Bookmark the permalink. That it is, and you can’t put it down!